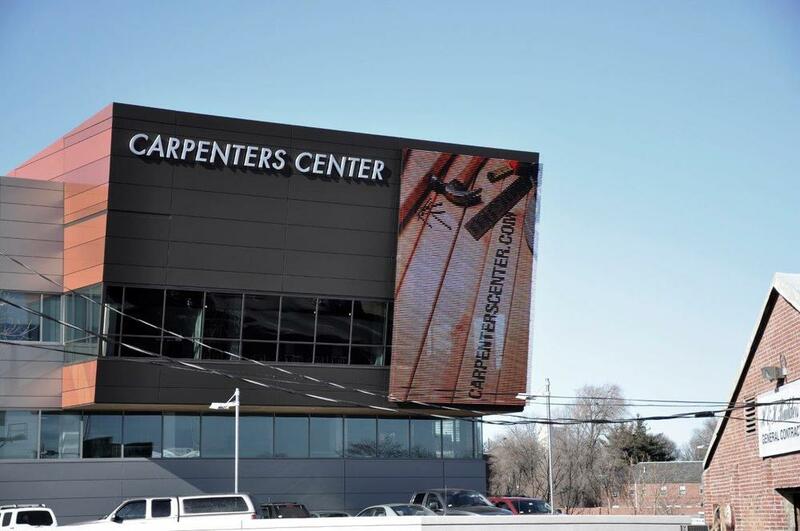 One of the first transparent video screens in the U.S., the display at the Carpenters Center is a great testament to the impact S|N|A's S|ThruMedia™ can have both as a message center and as creative architecture. 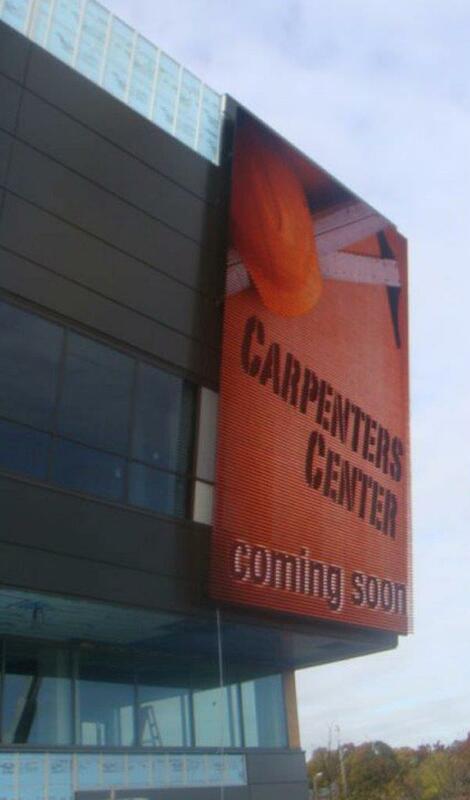 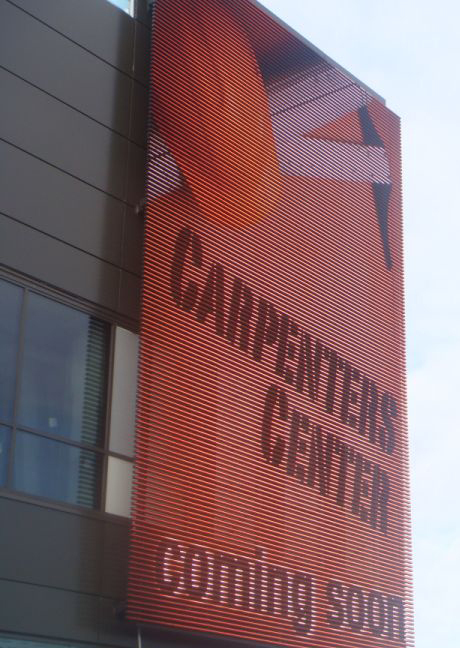 Home of the New England Regional Council of Carpenters (NERCC), the Carpenters Center overlooks a busy Dorchester Avenue, just off of Interstate 93 in Boston. 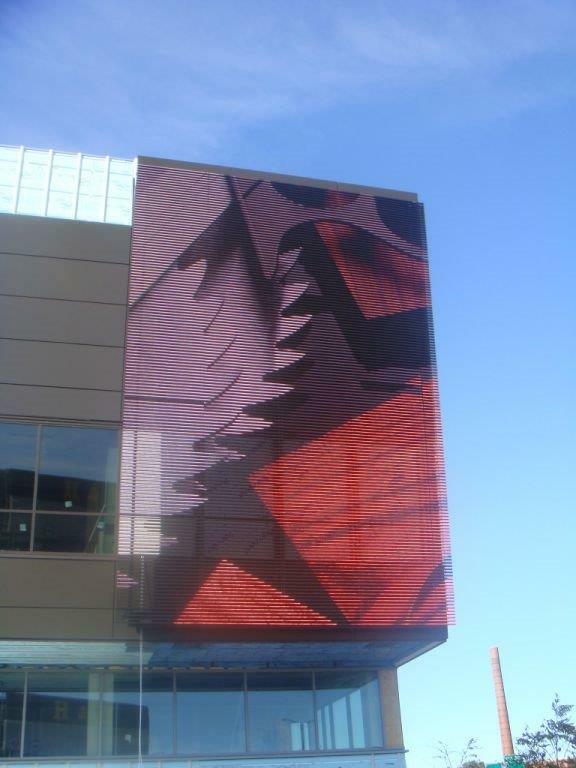 The 32' high by 21' wide LED video display was designed as part of the building facade and is more than 53% transparent, though it maintains a high-resolution, video-quality display. 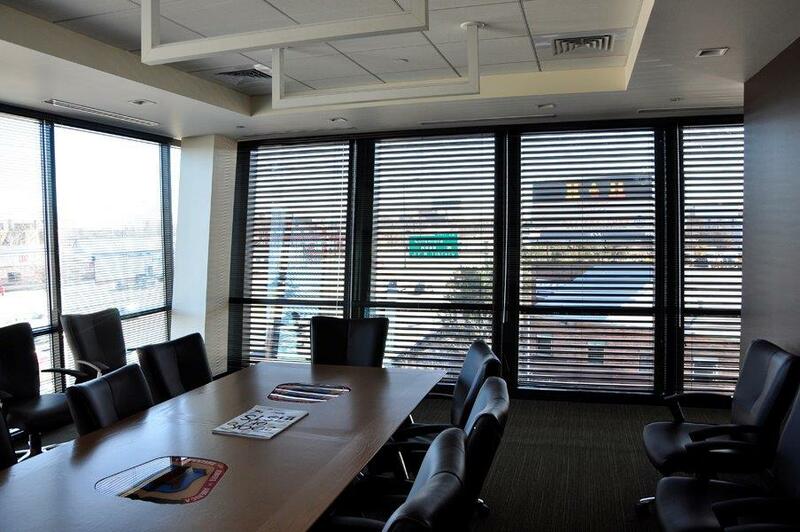 Viewers of the display see a subtle transparency, depending on the content shown, while tenants inside still get the "corner office view" through the back of the display.